Since this classic book was first published in 2003, sustainability has increasingly been accepted as standard business practice for leading corporations, while the science itself has revealed how human activity has become the dominant force influencing irreversible changes in the planetary systems. The fourth edition of this trailblazing book on corporate sustainability provides new insights into how organizations can transition towards a more responsible way of conducting their business. It charts new thinking on value creation, business models and organizational purpose as the basis of a broader-based transition to a sustainable society. The sustainability phase model has been substantially revised to incorporate emergent approaches in sustainable supply chain management, strategic sustainability, sustainability-oriented innovation and new business models. There is a companion website that contains a range of materials to support learning. 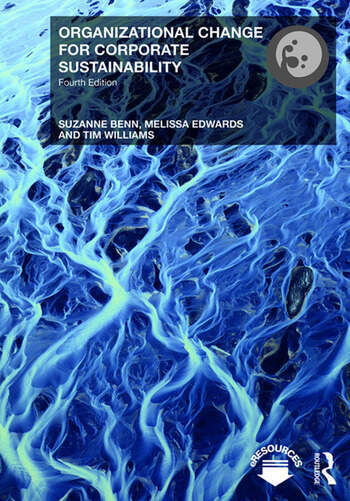 This new edition with the authors’ unified approach to sustainable business reshapes its plan of action to bring about corporate change by drawing in new management theory and practice on strategy-making and leadership, making it core reading for students and researchers of sustainability and business, organizational change and corporate social responsibility.